This month's release includes new and exciting features to help parents and teachers better navigate Starfall.com and learn how to implement our curricula. Starfall Activity Index: Search to find your favorite children's activities and learn more about how they support your child or classroom. You can see which activities are available for Starfall member supporters and which activities are free. Curriculum Introduction Videos: Watch our new YouTube videos for an overview of our Pre-K, Kindergarten ELA 2nd Edition, and Kindergarten Math curricula. New Pre-K alignment files: Oregon and Arizona. Starfall Tips: Five new math songs and a new birthday activity are now available for Starfall member supporters. Join today to unlock hundreds of activities spanning Pre-K through 2nd grade. 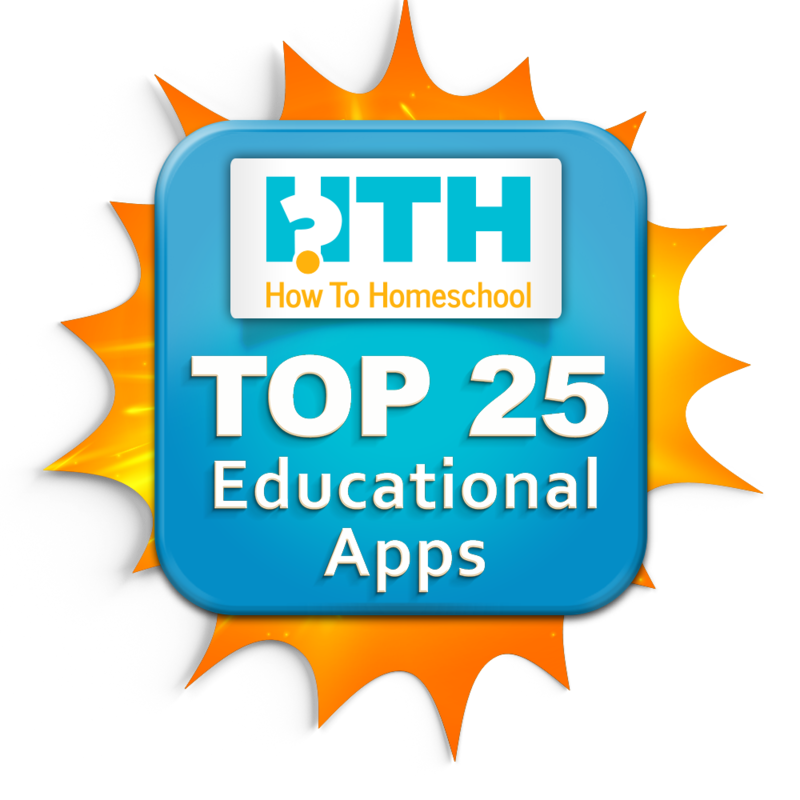 We’re delighted and honored to announce that we have been chosen as one of the Top 25 Educational Apps of 2018 by HowToHomeschool.net! With hundreds of nominations and rigorous criteria to win, we’re deeply grateful for this recognition and remain committed to the homeschooling community for yet another year. Our list of curriculum alignments continues to grow! Be sure to check our site to see if your state is included. Starfall chapter books are now available as projectables. These include: Zac Camps, Peg Goes Places, Mox's Day, What an Adventure!, and At Gus's Pond. Teachers can use these in your classroom to project the books as your class reads along with them. New Pre-K alignment files: New Mexico, Washington DC, Wisconsin, and Virginia. New Kindergarten ELA alignment files: New York, Oklahoma, Oregon, Pennsylvania, Rhode Island, South Dakota, Texas, Vermont, Washington, Washington DC, and West Virginia. We have been busy this fall adding lots of new content, including a major renovation to our Downloads page, some new projectables, and expanding some of our math worksheet capabilities to include higher numbers. Updated Downloads page with NEW downloads: All new downloadable PDFs are marked with a sticker. These include new math downloadable money sheets, based on requests from our users. New Pre-K and Kindergarten state alignment files: Alaska, Arizona, Arkansas, Indiana, Louisiana, Massachusetts, Mississippi, Nebraska, New Mexico, New York, Texas, and Virginia. New Anchor Charts and Pond Poster projectables: Use these with our Second Edition Kindergarten ELA Curriculum. About Starfall page: We moved this over to the Parent-Teacher Center: and gave it a fresh new look and feel. Brand new Research Studies page: Check out Starfall's research documentation now on one easy to access page. Starfall For Your School Fact Sheet: Download this PDF for some quick, high level information about the benefits of using Starfall. Expanded math worksheet generators: Several math worksheets now have higher numbers -- Plus or Minus and Missing Number. More instructions on how to use our most popular worksheet generators: ABC Rhymes, Letter Formation, Picture/Sound, Multi-Letter, and Letter Search. This month's release continues to support our English Language Arts (ELA) 2nd Edition Curriculum release. We've also expanded our resources for parents and teachers to include instructions for using our most popular ELA worksheet generators. Updated Historical Figures Poster: Based on user feedback, this poster has been updated to remove Christopher Columbus and add Susan B. Anthony. Updated ELA Resources: Three more customizable worksheet generators now include the new Kindergarten ELA Edition 2 curriculum high frequency words. These worksheet generators also now include instructions for how to use them to customize your own worksheets. Updated resources include: Color by Word, Word Shapes, and Word Graph. New Pre-K and Kindergarten Alignments: See how Starfall has aligned our curricula to new state standards. We're so excited to share these changes with you! As the next school year approaches, we are getting the site ready to support Starfall's Kindergarten 2nd Edition ELA Curriculum. We've also added some helpful resources for parents and teachers, including some new kindergarten alignment information. New Learning FAQ: We created a list of frequently asked questions from parents and teachers. You can search for answers on questions about educational needs, behavioral issues, classroom management strategies, and more! Glossary: Our new Glossary page provides definitions for commonly used terms throughout our site and curriculum. Glossary terms are also linked into our FAQ. Updated Resources: Two generators and two custom printables now include the new Kindergarten ELA Edition 2 curriculum high frequency words. These resources also include an option for people who do not use our curriculum and want to customize the worksheets with your own words. Updated resources include: Word Search, Writing Practice, Backpack Bear's Messages, and Vocabulary Cards. New Kindergarten Alignments: See how Starfall has aligned its English Language Arts and Math curriculums to several state standards. Check back periodically to see how our site is growing! June 2017 is the release of our new and improved site—Starfall’s Parent-Teacher Center™! Our goal with this release is to create a more inviting and inclusive site for all grown-ups who support their children using Starfall’s offerings inside the classroom, at home, or within a homeschool setting. A new and exciting look and feel, including our new name, Starfall’s Parent-Teacher Center™. User-friendly layout and navigation to help you find all the important content on our site. New information pages for parents, teachers, and homeschoolers to introduce you to Starfall’s offerings and walk you through some beginning steps for using Starfall.com. New Guide to Using Starfall: a deeper dive into our recommended grade level progression for everything Starfall has to offer, from activities on Starfall.com to associated products available in our Starfall Store and supplemental resources available right here in the Parent-Teacher Center. We’re excited about this release and we hope you are too!